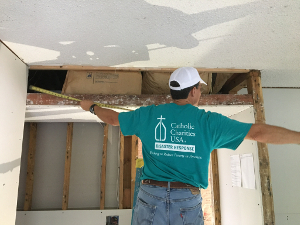 Help families recover from disasters like Hurricane Florence. Put a healthy meal on a family’s table at night. Ensure that recent immigrants to our country are assisted with obtaining the legal benefits for which they are eligible. 60,000 people in the 54 counties of eastern and central North Carolina. If you have any questions about making a donation, please contact Gabby Amos at Gabby.Amos@raldioc.org or (919) 821 – 9750. To make a gift in honor or in memory of an individual, please make the donation using this online portal, then contact Gabby Amos with the honor or memorial information. I would like to receive information about: You may periodically receive email from us regarding the interests you select.